We can host your site on one of our fast web servers and give you regular to most demanding web hosting solutions geared towards maximizing availability, performance and security of your web site. You can be provided with any individual requirements considering your system. We maintain our own Web Servers on FreeBSD platform. This enables us to offer you a fast, reliable service and allowing you to use the latest scripting technologies to develop world class web sites. 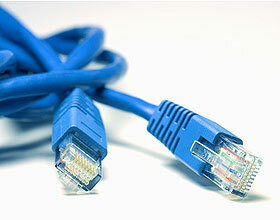 Our servers have our own dedicated bandwidth to ensure fast access to our clients’ sites. Our Free BSD (UNIX clone) servers are among the fastest machines available. We monitor your site 24/7, with our world-class service and support and power backup facilities, ensuring reliable, high-speed connections to the Internet. You will always be able to access your site for updating, or we will be happy to do the updating for you for a reasonable monthly, annual or per-incident fee.